Every summer, Chicagoans and Suburban youths travel to Grant Park for Lollapalooza. In past years, tickets for all-day passes and for single day passes have sold out in hours. This year it took one week for four-day passes to sell out, with some single day passes still available, two months after their release. There’s a lot of speculation as to why this occurred. The three main theories as to why include: Competition with other festivals, security concerns, and Four day burn out. One believed reason is competition with among Chicago festivals and of big festivals like Bonnaroo and Coachella. Except for Coachella, none of them have sold out. The local festivals serve different musical niches, and only lower Lollapalooza sales slightly. 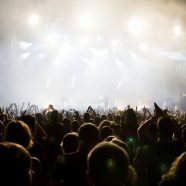 With the large festivals, issues of lineup similarity have been brought up. There is a lot of overlap. Although Lollapalooza makes its artists sign a radius clause to not perform in a 300-mile radius for 9 months surrounding the festival, a significant number of festival-goers travel across the country throughout the summer, but would be reluctant to if most of the lineup was the same. The next theory is the fear of safety. Last year, after the shooting at the Las Vegas Music Festival, investigators discovered that the shooter purchased a hotel room overlooking Grant Park during the festival, but never showed. If Lollapalooza did more to publicize increased security, this would put some minds at ease. Lastly, many are critical of Lollapalooza’s switch to four days. Adding a Thursday date makes it harder for working professionals to attend, makes Lollapalooza weekend more exhausting, and makes each day’s lineup weaker. All in all, the Lollapalooza ticket decline can be attributed to many things, including failure to increase security, competition with lineup similarity, and the four-day switch. This is a prime example of why you should always listen to consumer concerns.